“We were meant to help people. This is our calling. Based in the Historic South End Design District in Charlotte, NC, New Life Building Supplies, LLC is a leading supplier of Windows, Doors, Cabinets & Hardware, Custom Closets, Counter Tops , Cambria Quartz, Silestone & Granite, & Flooring. We also offer Painting, and a wide variety of services. 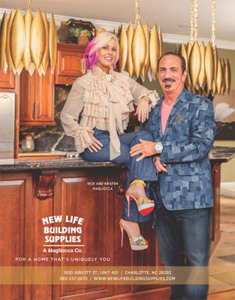 Have you seen New Life Building Supplies in QC Exclusive and Luxe Lifestyle?